Today I have my last New Year's Eve DIY to share with you! If you missed Wednesday's and Thursday's DIYs, you can see them here and here. My final New Year's Eve DIY that I created was for HomeDIT. 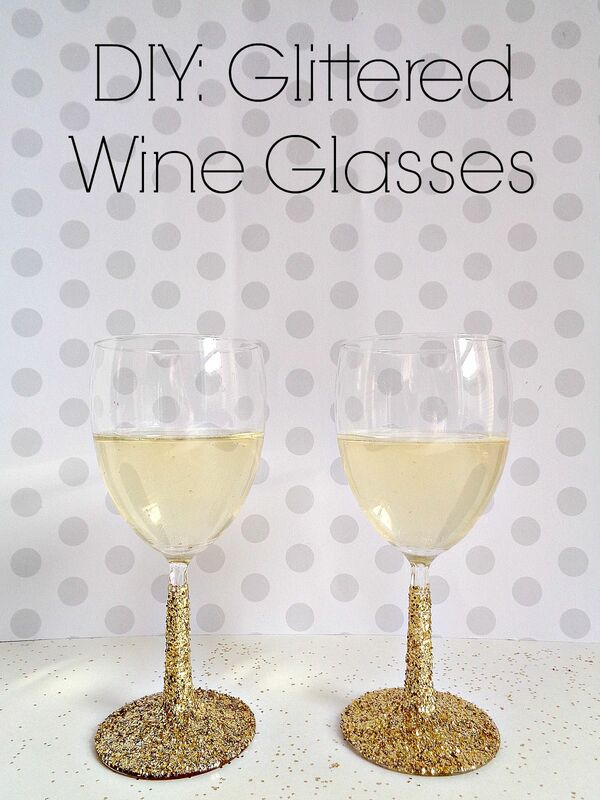 Specifically, the DIY that I created was some Glittered Wine Glasses! You may have seen similar DIYs like this all over the internet, due to that, I tried to make the tutorial as easy as possible. Also, since New Year's Eve is tomorrow, I wanted to create some glittered wine glasses which could be created in a day. In this case, the tutorial is only two steps and only requires a few supplies! So to find out how to make your own glittered wine glasses, simply click here to get the full tutorial!